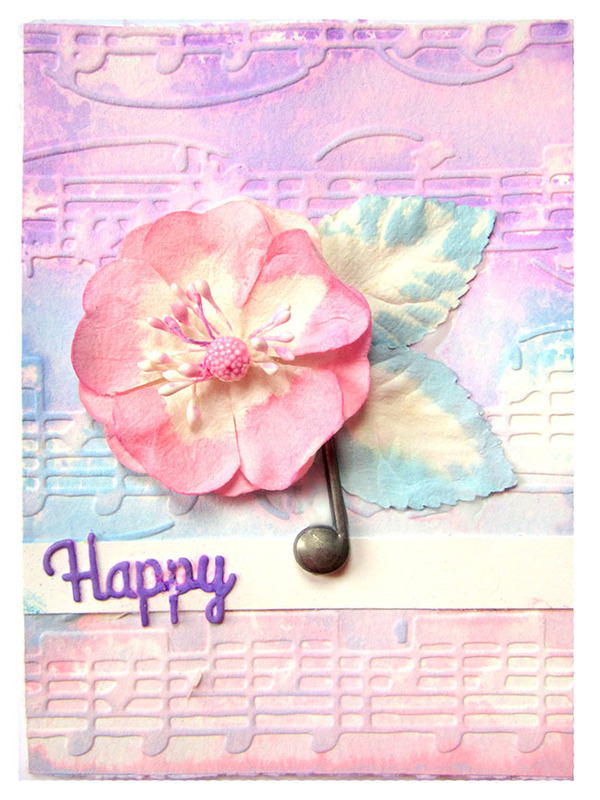 I created a set of musically themed cards using Tim Holtz Distress Oxide Inks and embossing folders. 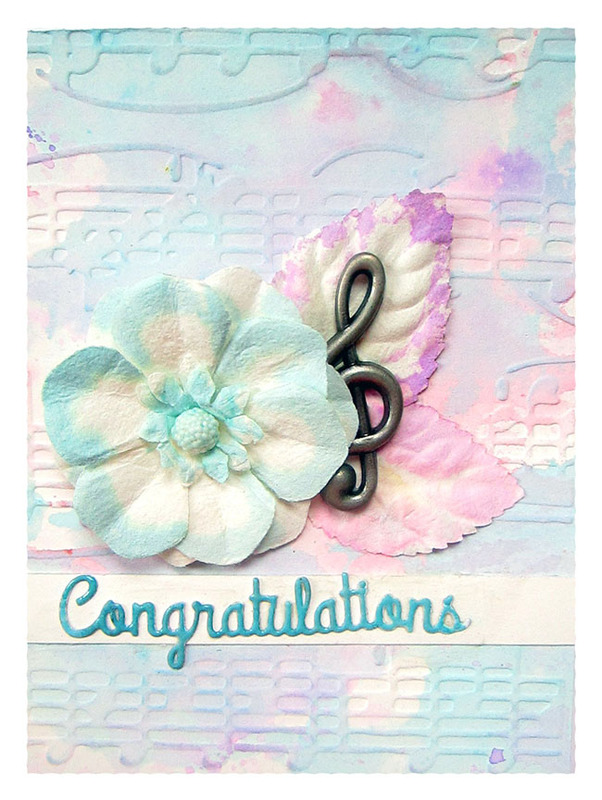 I got inspired by a video from Jennifer McGuire where she used Distress inks with embossing folders and I knew I needed to try this technique with the Distress Oxide Inks. 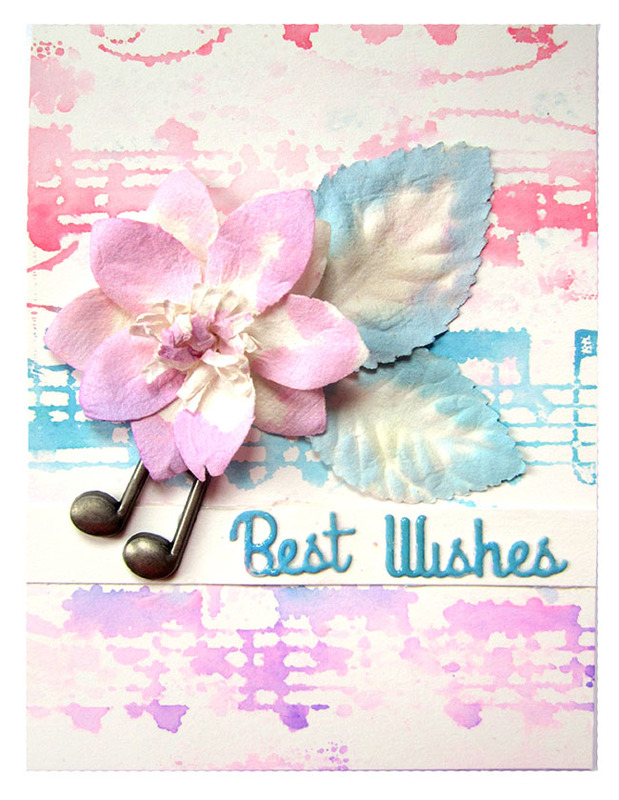 I took it one step further and experimented with 5 different techniques to create different water-color background.